USC Life Trustee Harlyne Norris, whose family foundation made possible USC’s influential research and treatment efforts to fight cancer, died July 30 in her beloved South Bay. She was 83. A civic-minded volunteer and philanthropist, Norris devoted herself to her family and causes in science, medicine and the arts. She and her late husband, Kenneth T. Norris Jr. ’53, were generous benefactors to USC, continuing a tradition of giving begun by his parents, Eileen and Kenneth T. Norris Sr. 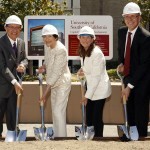 Through the Kenneth T. and Eileen L. Norris Foundation, the Norris family was instrumental to creating the USC Norris Comprehensive Cancer Center and USC Norris Cancer Hospital, one of the premier cancer centers in the nation. 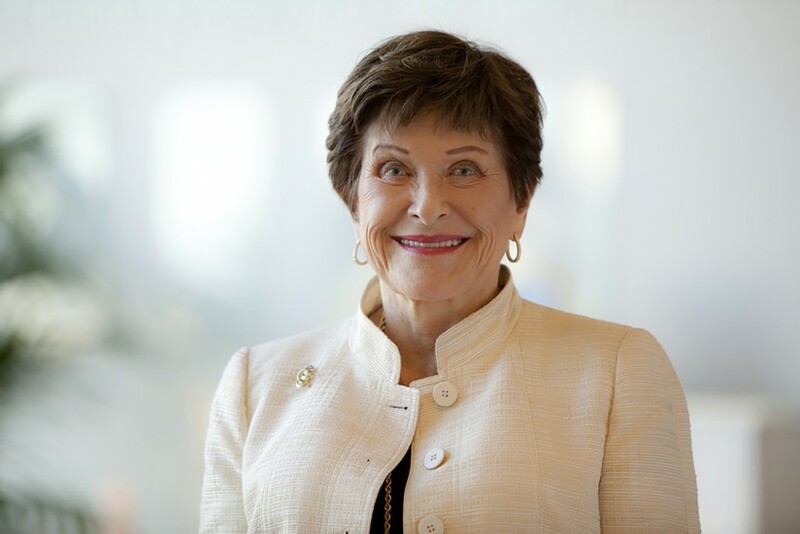 Harlyne Norris dedicated millions of dollars from the foundation, and her time as a USC trustee, toward advancing science and care that benefit patients across the world. A Southern California native, Harlyne Norris grew up in Santa Monica and attended UCLA to become a teacher. She married soon after college and was a full-time parent to her three children. After losing her first husband, she met Kenneth Norris Jr. They married in 1973 and became partners in both life and philanthropy. She joined the family foundation as a trustee in 1981, and took over as its chair in 1997, following Kenneth Norris Jr.’s death. Her three children and his son from his first marriage also sit on the foundation’s board. 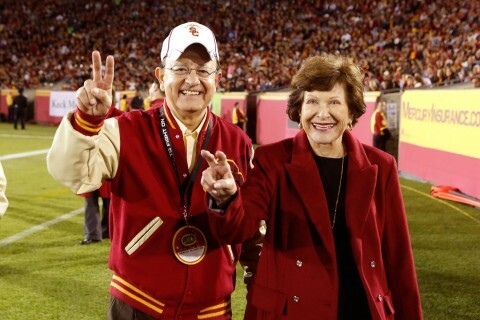 The Norris family has supported many educational causes at USC through the Kenneth T. and Eileen L. Norris Foundation. The USC Norris Medical Library, the USC Eileen L. Norris Cinema Theatre and the USC Norris Dental Center all bear the family name in recognition of the Norris family’s generosity over the years. 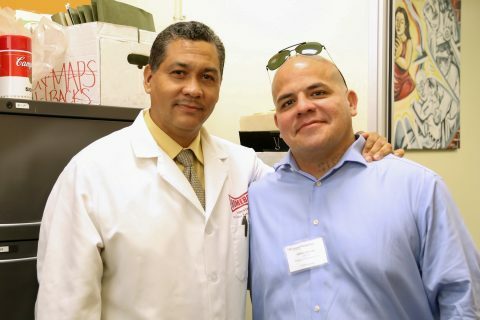 Kenneth Norris Jr., a USC alumnus, was the namesake and primary benefactor of the USC Norris cancer center, one of the nation’s first National Institutes of Health-designated comprehensive cancer centers. His initial personal gift, along with a contribution from the foundation, made possible the cancer center and hospital, which, when it opened in 1983, was the first medical center in Southern California exclusively devoted to cancer. He also was instrumental in funding the Dr. Norman Topping Tower at the cancer center. In addition, the foundation named two endowed chairs in his honor, one in cancer prevention and one in medicine. 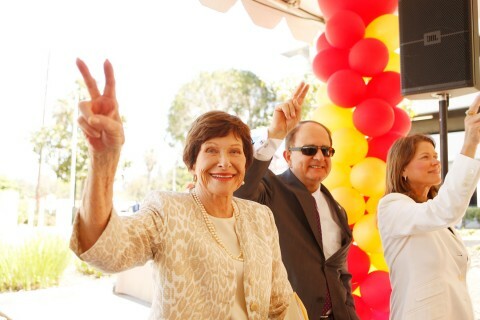 Harlyne Norris joined the USC Board of Trustees in 2000, following in the footsteps of her husband and her father-in-law. Over the decades, the Norris family continued to contribute significantly to the cancer center. The family foundation provided a lead gift for the Harlyne J. Norris Cancer Research Tower, the cancer center’s third building. 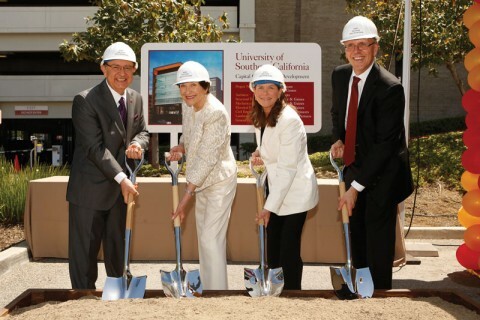 At a groundbreaking ceremony for the 10-story tower in 2003, she said that her greatest hope was that work accomplished in the tower “makes Ken’s dream of an end to cancer come true.” Its opening in 2007 dramatically increased laboratory research space for the Keck School of Medicine of USC. An additional gift in 2012 from the foundation supported construction on the USC Health Sciences Campus of the Norris Healthcare Consultation Center, a new outpatient clinic building. She also served on the advisory board of the USC Norris cancer center. She was awarded an honorary degree by USC in 2008 in recognition of her service, generosity and guidance to the university and other organizations that support children, health care, medical research, education and the arts. 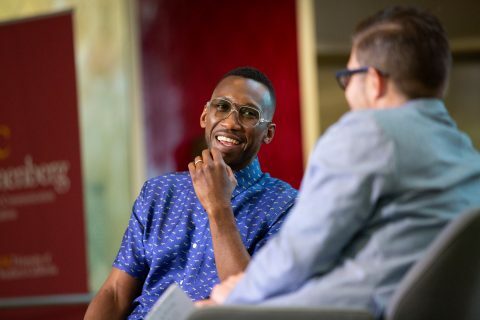 Harlyne Norris was a board member of PBS SoCal, an advisory board member of the Accelerated School and a supporter of the Blind Children’s Center, Para Los Niños, and the Boys and Girls Clubs. In Los Angeles, she was an honorary director of the Blue Ribbon, a support group of the Music Center. In the South Bay, she was a strong supporter of the Norris Center for the Performing Arts, Peninsula Education Foundation and Help the Homeless Help Themselves. In Pasadena, Norris was an overseer of the Huntington Library and a supporter of Caltech. She is survived by her children Lisa Hansen, James Martin and Kimberley Presley. 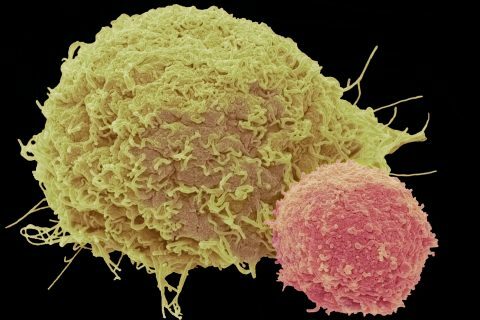 It’s been five years since Barbara Kral was first diagnosed with advanced myeloid leukemia. Though she is in remission, she continues to receive treatment at the USC Norris Comprehensive Cancer Center. Why is the ground shaking at USC’s Health Sciences Campus? 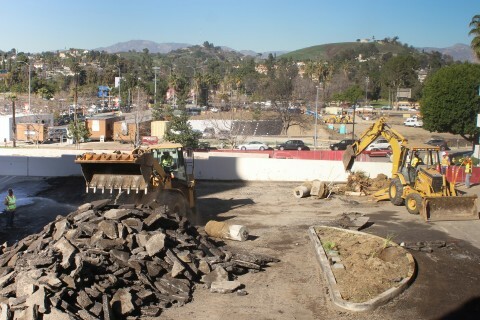 Several construction projects are underway, including the USC Norris Healthcare Center and a 1,200-space parking lot. 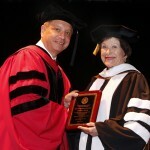 Harlyne J. Norris received the Elaine Stevely Hoffman Award during commencement ceremonies for the Keck School of Medicine of USC.